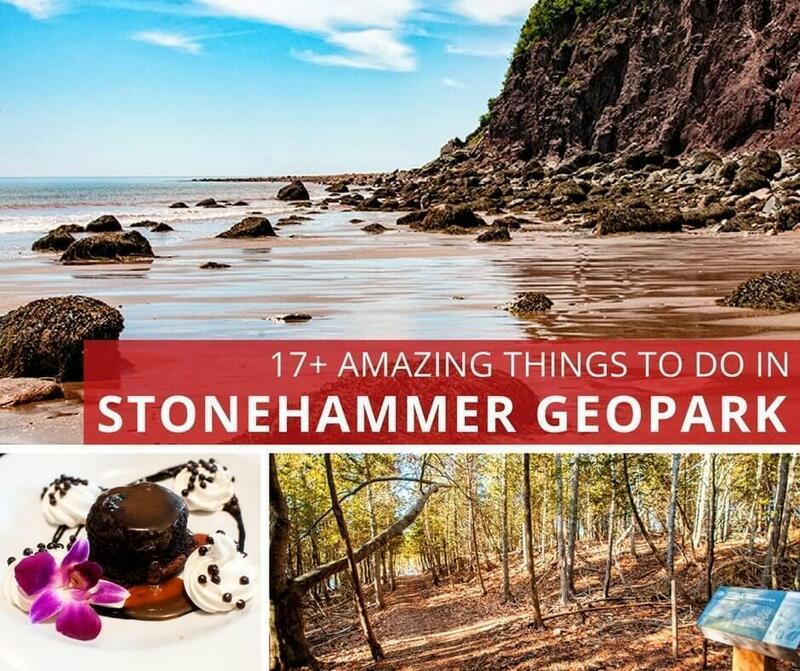 What and Where is Stonehammer Geopark? In broad terms, a UNESCO Global Geopark is an area designated as significant because of its geology. The park is intended to protect and preserve the site while educating visitors about its significance. But a geopark isn’t just about rocks. These unique locations encompass everything from archaeology to wildlife to history and culture. What makes a geopark special varies from site to site. It could be scientifically significant, rare or one-of-a-kind, or it can simply be a beautiful location in need of protection from too many visitors. But the goal of UNESCO Global Geoparks is not to exclude visitors. In fact, one of the primary goals is sustainable development designed to benefit the local economy. This means supporting local businesses designed to educate visitors about the geopark in fun and innovative ways. 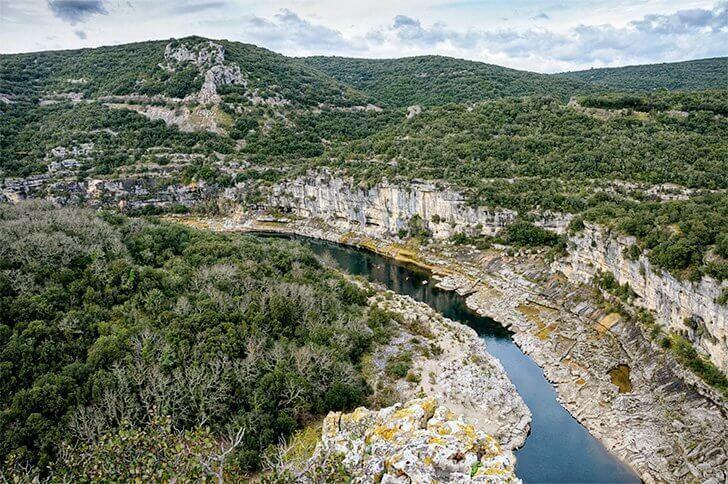 Unlike most UNESCO World Heritage Sites, geoparks can encompass vast areas, so having these community-driven activities helps make the parks more accessible to visitors while protecting what makes them unique. Currently, there are 127 Global Geoparks in 37 different countries. (You can see a full list of UNESCO Global Geoparks on the UNESCO website.) China leads the pack with a whopping 35 geoparks, while others can be found all over Europe and dotting Asia and South America. There are only two North American Global Geoparks, both in Canada. The first of those was Stonehammer here in New Brunswick. But Canada’s geopark story doesn’t end with Stonehammer. 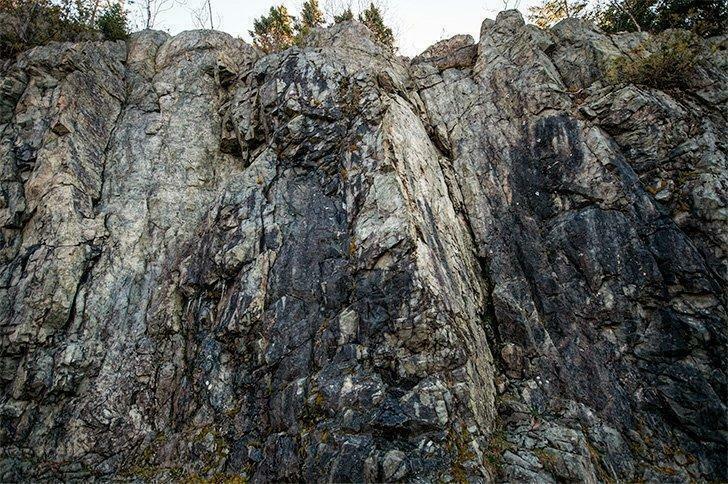 Tumbler Ridge in British Columbia was designated a UNESCO Global Geopark shortly after Stonehammer, and there are currently nine aspiring geoparks in Canada, mainly here on the east coast. We were thrilled to see Percé and Saguenay, Quebec on the list, both sites we had visited during our Quebec Maritime adventure. When Andrew and I first returned to New Brunswick, in 2015, we kept seeing these strange looking signs all over Saint John and the surrounding area. Eventually, we learned they were for Stonehammer Geopark, but we still didn’t really know where or what Stonehammer was. We started polling friends and family members in the area. The answers ranged from ‘I have no idea,’ to ‘something to do with rocks, I think.’ That’s when we decided to take our questions all the way to the top, and met with Gail Bremner, Stonehammer’s Executive Director, and Wanda Hughes, the Program Coordinator for Stonehammer. These passionate women explained the ins and outs of New Brunswick’s geopark as well as its unique challenges. 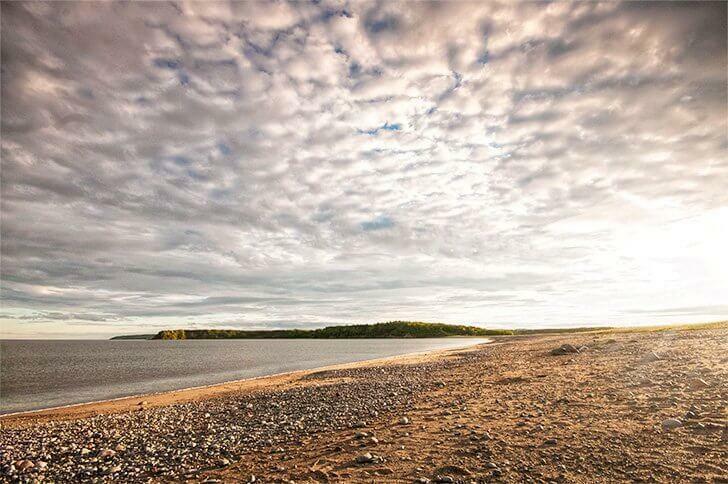 Stonehammer Geopark encompasses 2,500 km2 of New Brunswick’s Bay of Fundy area, with Saint John at its heart. The borders of the geopark extend to Saint Martin’s and the Fundy Trail to the east, the villages of Norton and Hampton to the northeast, the Kingston Peninsula to the northwest, and Lepreau Falls to the southwest. Stonehammer includes more than 60 geological and fossil sites of significance, and more than a dozen are accessible to the public. While a stone and a hammer seem likely symbols for a geopark, there’s more to the name Stonehammer than meets the eye. The park is named for a group of young geologists who formed the ‘Steinhammer Club’ in 1857, with the goal of exploring the geology of the area. They used maps created by early Saint John resident Dr Abraham Gesner, the first Provincial Geologist in the British Empire. The central symbol of the Stonehammer logo represents a trilobite, one of our best-known fossils. In 1863, members of the Steinhammer Club found the first Cambrian age trilobites in Canada within the borders of today’s geopark. In the 1880s, one of the world’s largest trilobites was discovered by the son of one of the original Steinhammer members in the rocks in Saint John. How’s that for a local legacy? 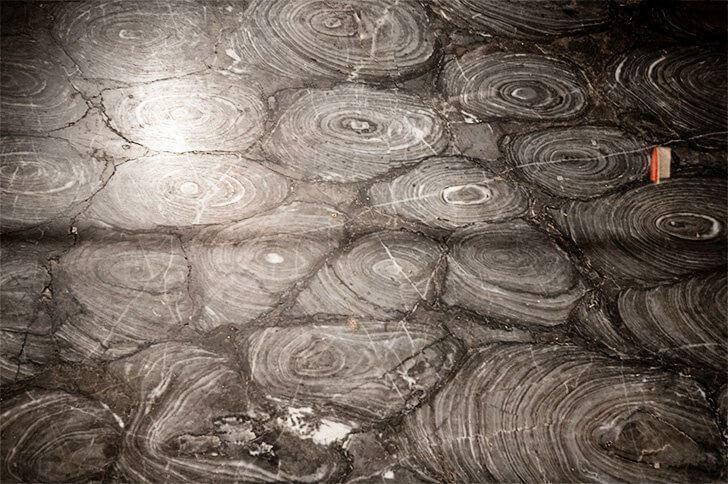 You can see spectacular geological phenomena from where two continents collided to rare and unusual fossils. But best of all are the ways you can experience Stonehammer. 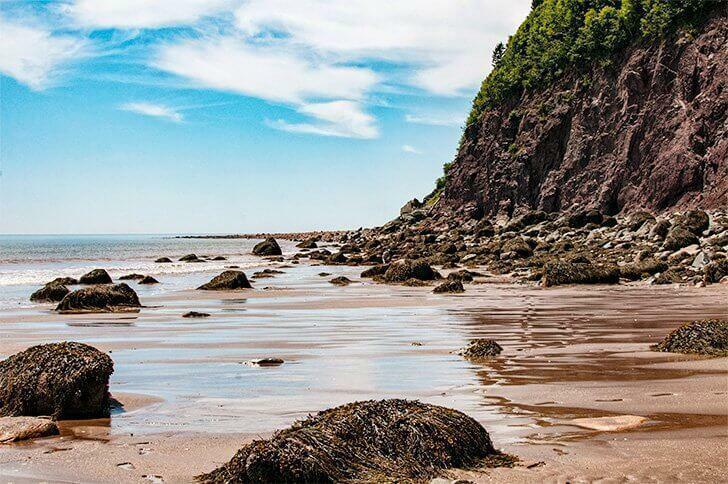 You can walk and hike, kayak, rock climb and zip line, take a boat tour, see sculptures, waterfalls, sea caves, and New Brunswick’s famous covered bridges. 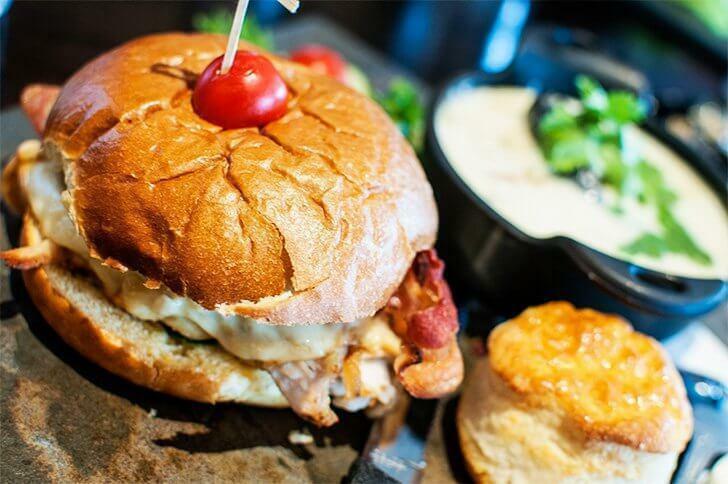 You can even eat a meal or get a massage! Below we share the many ways to experience Stonehammer throughout the year. However, just like geology, these activities are expanding, changing, and evolving, so there’s always something new to discover. The New Brunswick Museum in Saint John should be your first stop for understanding Stonehammer Geopark. 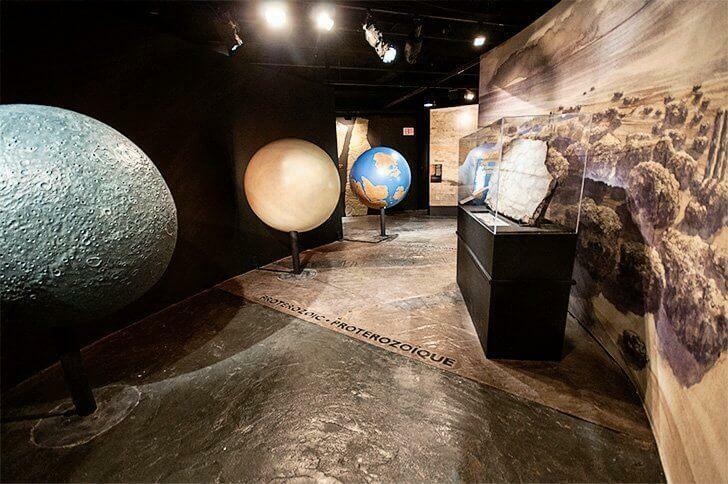 Whatever the weather, the New Brunswick Museum should be your first stop to learn about Stonehammer Geopark. The museum’s interactive permanent exhibition about New Brunswick’s geology answers all the big questions about Stonehammer. You can also see some of the province’s most impressive fossils and other findings. You can visit the museum on your own or arrange a guided tour about a topic of particular interest. Other permanent galleries include New Brunswick, Canadian, and International Art, New Brunswick Industry, 19th Century Shipbuilding, Birds of NB, and the Hall of Whales. There are also frequently changing temporary exhibitions on diverse topics and loads of activities for kids. After you visit the museum, be sure to take a stroll around historic Uptown Saint John, Canada’s first incorporated city. The first thing you’ll notice is many of the buildings are stone. The area south of King Street was rebuilt quickly after the Great Fire of 1877. Many of the buildings were constructed of local sandstone, granite, and marble. Be sure to look up and admire the many sandstone carvings around the buildings’ windows and doors. Don’t miss the Palatine Building at 124 Prince William St. for its wonderful animal carvings. For more information about the city’s historic buildings, you can download three self-guided walking tours of Uptown Saint John. If the weather cooperates (and we do get some gloriously sunny winter days in New Brunswick) take a walk along Harbour Passage. This series of interconnected wheelchair accessible walking and cycling trails lead from the Uptown Saint John Boardwalk, all the way to the Reversing Falls. Along the way, you’ll see plenty of public art, particularly pieces from the bi-annual Sculpture Saint John festival, and interpretive panels about the area’s history and geology. Near the gazebo below Bentley Street, you can see rocks from the Ordovician and Cambrian periods; the oldest are 516 million years old! Reversing Rapids does more accurately describes the phenomenon here – where the Bay of Fundy tide is so powerful it pushes the St. John River upstream at high tide. To appreciate this fully, you need to see the rapids at low, slack, and high tides; there’s no instant gratification here! Back when I was describing this marvel to tourists, we didn’t talk about the geology of the Reversing Rapids. If we did, we’d have more reason to stick to the name Reversing Falls. Thousands of years ago, a waterfall did exist here, but over time the riverbed eroded while the sea level rose to create the raging rapids we see at low tide today. But even more fascinating than ancient waterfalls are the rocks around the rapids themselves. If you look at the cliff near the bridge from The Falls Restaurant, you’re looking at the Caledonia Faultline. On the bay side is the Caledonia Terrane, a layer of sandstone and shale once part of the ancient continent that became Africa. On the opposite side of the bridge is the Brookville Terrane composed of marble from the continent that became South America. These two sides differ in age some 500 million years. You can marvel at this view in the recently reopened, fine-dining The Falls Restaurant or head up to the viewing platform and brave Skywalk Saint John. It’s open year-round unless the weather is particularly bad making it unsafe. There’s also a short film explaining the tidal phenomenon, the geology, and the history of the area. New Brunswick is known for its many waterfalls, but one of the most dramatic and easily accessible is within the Stonehammer Geopark. Lepreau Falls is about a 20-minute drive west of Saint John, and it’s worth the detour. The spectacular falls cascade over a series of sandstone ledges as the river makes its way toward the Bay of Fundy, 3km away. In 1974, a tetrapod (a four-legged animal, in this case, likely a reptile) trackway fossil was found here. Although the type of reptile is still under debate, geologists now put the age of the rocks here at 315-325 million years old. In sunny weather, you can enjoy a picnic at the tables in the small park while you admire the falls. Saint Johners are blessed with a wealth of public green-spaces for a city this size. No matter which side of town you find yourself, you’re never far from taking a walk in the park. While access may be limited as the snow accumulates, our parks are open year-round. If there’s snow on the ground, you can always enjoy these parks on snowshoes, cross-country skis, or even ice skates. If I had to choose my one favourite place in Saint John, it’s the Irving Nature Park. 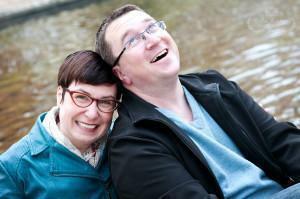 As a lifelong West Saint John gal (west side – best side!) this gorgeous natural area was virtually in my backyard growing up. The park is located on Taylors Island, connected to the mainland by a salt marsh and causeway across Saints Rest Beach. In the summer months, you can drive around the park, stopping at the lookouts and picnic spots along the way or walk one of the many trails around and through the middle of the park. There are some incredible coastal views here, and there’s also plenty of wildlife. Although the park is closed to vehicles in the winter, on sunny days, you’ll still find plenty of locals here, snowshoeing, skiing, and walking dogs of all sizes. In geologic terms, the Nature Park is where you can see more ‘recent’ ice age activity. Standing on the beach looking back towards Taylors Island you can see deep scratches on the rocks caused by glacial movement. An interpretive sign tells more about the geology here. However, it’s a bit hard to spot as it sits on a hill over the parking lot amidst the trees. Tiny Tucker Park on the Kennebecasis River is a local secret. There are walking trails and a small beach with great sunset views over the water – and you probably won’t spot another tourist. At the beach, you can see distinct layers of alternating sandstone and conglomerate rock. These ‘Rivers of Rock’ were formed by the sediment buildup of the river. 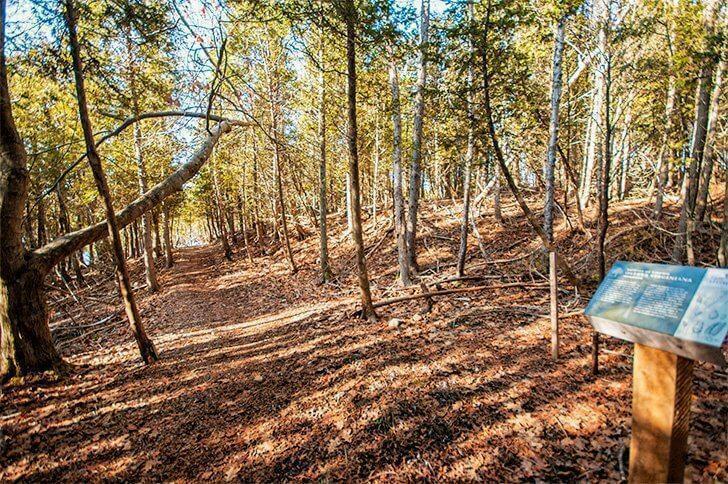 This 890-hectare green-space in the heart of the city is a gem for outdoor enthusiasts year-round. Rockwood Park encompasses an Acadian mixed forest, multiple lakes, caves, a golf course, stables, a community garden, playpark, and the city’s zoo. If it sounds impressive, it is. It was even designed by one of the designers of NYC’s Central Park, Calvert Vaux, in the mid-19th century. The hub for all things active in the park is Inside Out Nature Centre located on the ground floor of the Lily Lake Hatheway Pavilion. In winter, you can ice skate or ski through the park. There are some great tobogganing hills too. Inside Out also hosts an indoor climbing wall you can use whatever the weather. In the summer Rockwood Park is heaven for walkers and hikers. There are more than 55 trails, ranging from fully-accessible paved paths to more rugged nature trails for all fitness levels. Inside Out organises guided park walks and geocaching and rents a wide variety of watercraft to enjoy on the park’s many lakes. While you’re enjoying everything Rockwood Park has to offer, don’t forget where the park gets its name. The Caledonia Fault you can see at the Reversing Rapids runs right through Rockwood too. In fact, it parallels the road facing Lily Lake so you can stand with one foot in ancient Africa and one foot in South America. If you’re feeling adventurous, organise a rock climbing adventure with Inside Out and scale Dacite, a volcanic lava. 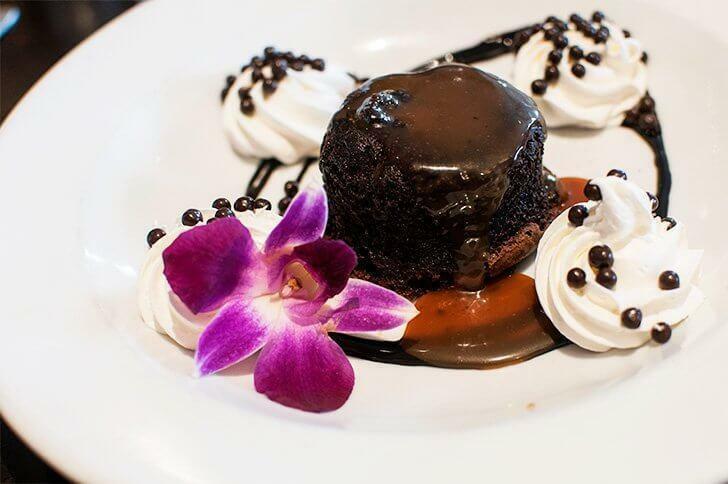 After all that activity, refuel at Lily’s Lakeside Dining. 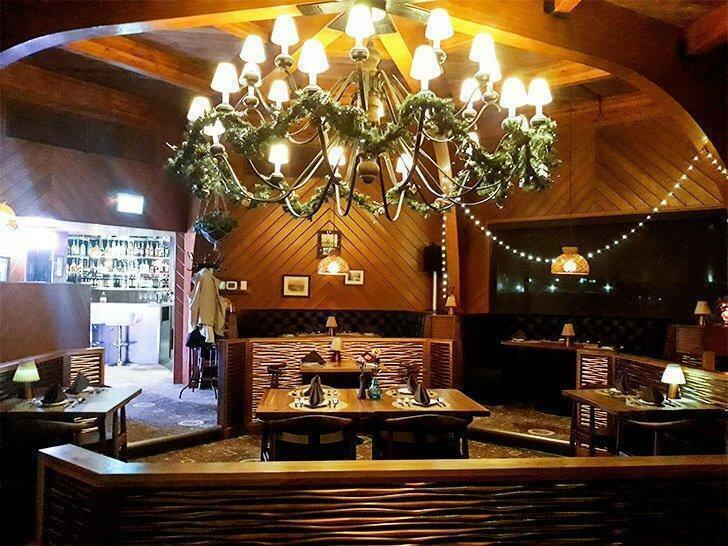 A registered charity operates this restaurant, and all of the profits go right back into the community through a host of programs for everyone from children right up to seniors. Lily’s cosy dining room is always bustling, but on a sunny summer day, the terrace is heaving with folks enjoying a meal with a stunning view. It’s hard to believe you’re in the middle of the city! If you need to unwind after enjoying all the outdoor activities Stonehammer has to offer, look no farther than Pangea Spa, located between Lily’s and Inside Out Nature Centre at Rockwood Park. Pangea, an AVEDA concept spa, offers the full range of day spa services from massages and facials to manicures, pedicures, and waxing. As the New Brunswick weather warms up the things to do in Stonehammer increase – particularly when it comes to water-based fun. The majority of these activities run from May to October but be sure to check with the individual operators for opening times and reservations. I love being on, in, or around the water. I’m not sure if it’s because I grew up with a view of the Bay of Fundy from my window, or that my parents took me boating from a very young age. Maybe it’s because we’re blessed with an ample supply of water, both salt and fresh, here in southern New Brunswick. Join the passionate folks at Go Fundy Events at Dominion Park to see some genuinely extraordinary fossils. This was our first official taste of Stonehammer Geopark, and it was a fantastic day on the water. Read about our first kayak adventure here and don’t miss this trip! The charming village of St. Martin’s has plenty of things to do for outdoor enthusiasts. One of the highlights is exploring the sea caves, carved out by the powerful Bay of Fundy tides. River Bay Adventures offers two hour guided kayak tours of the highlights of St. Martin’s spectacular coastline. 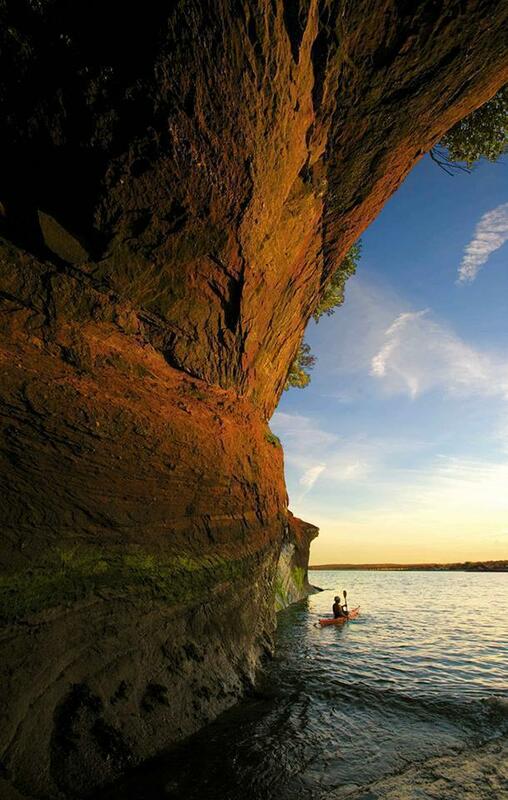 River Bay Adventures also provides kayaking tours on calmer waters. Discover the magical landscape of the spring floodplain from Hammond River to Darling’s Lake and the Kennebecasis River. This trip is perfect for beginning paddlers, and as a bonus, you’ll get to see the Darling’s Island covered bridge. Osprey Adventures offers the unique experience of paddling traditional routes in an authentic voyager canoe. Learn about the area’s history, flora, fauna, and geology of the Kennebecasis River system. If all of that paddling sounds like hard work, head to Hampton’s Lighthouse River Centre and step aboard the Zephyurs, a 260 ft2 pontoon boat. Zelda’s River Adventures offers ten different Stonehammer geopark-inspired tours throughout the summer. You can even fish from this eco-friendly boat. It’s an excellent option for families with small children or folks with mobility challenges. If Skywalk Saint John isn’t enough of a rush, try flying over the Reversing Falls. 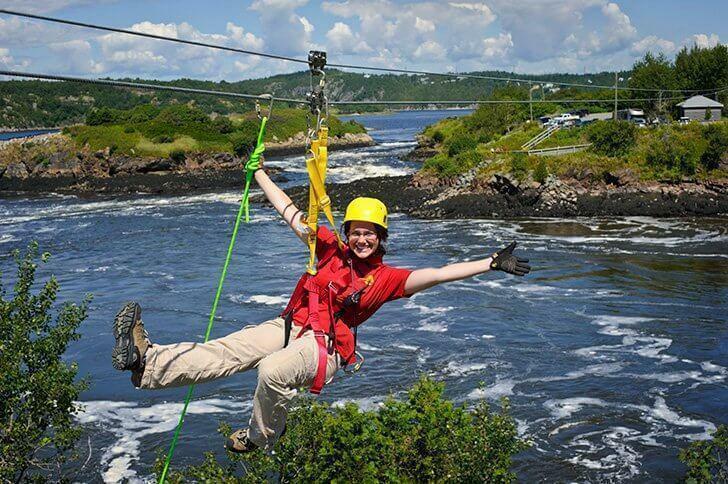 Saint John Adventures Zipline is a series of 5 lines of varying length zipping down a hill overlooking the rapids. The final dual line allows you to race a friend over a cove of the Falls. Depending on the tide, you could be suspended as high as 100 feet over the water. This could be a case of saving the best for last, but honestly all of the Stonehammer activities are so fun it’s impossible to choose a favourite. The Fundy Trail, however, is near the top of my list (Click the link to read our full article). In addition to being part of the Stonehammer Geopark, the Fundy Trail is part of the UNESCO designated Fundy Biosphere Reserve, and the Trans Canada Trail. 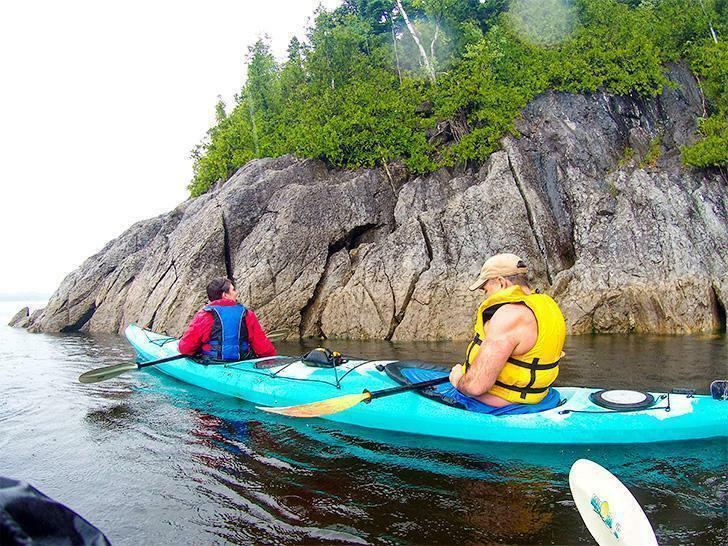 You’ll find some of the province’s most beautiful coastal scenery and the beaches are epic. The rocks at the trail’s Big Salmon River are over 600 million years old – that’s 400 million years older than the Bay of Fundy itself! The Fundy Trail Parkway is open from Victoria Day weekend (mid-May) to Canadian Thanksgiving weekend (mid-October). Believe it or not, these are just some of the activities available within the Stonehammer Geopark and more are being added all the time. With so many things to do in Saint John and the surrounding area, you should probably start planning your summer holidays now! For even more amazing things to do in New Brunswick, Canada, be sure to check out our guide to the province. 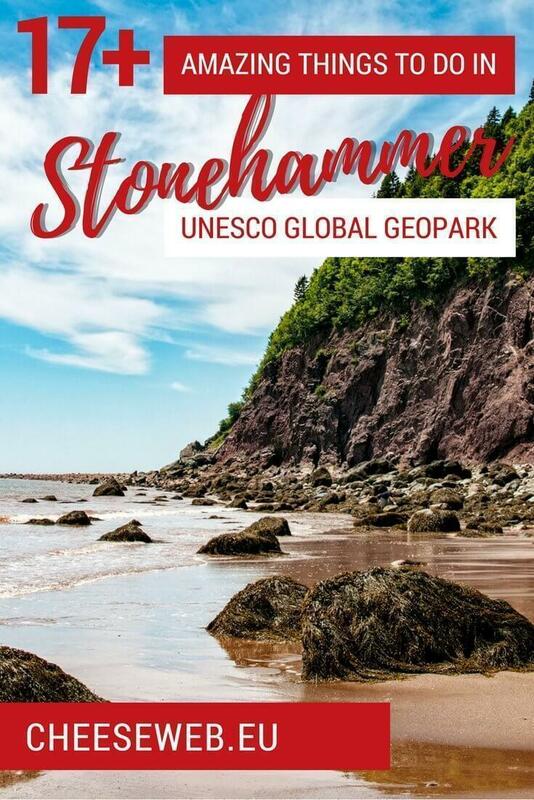 We’d like to thank Gail Bremner and Wanda Hughes of Stonehammer Geopark for answering our (many, many) questions and inviting us to participate in some of the activities. As always, we always express our own opinions and will never recommend a service or destination we don’t stand behind.